Raging thunderstorms can produce damaging winds, flooding rains, and pelting hail. It may not happen every day here in the Twin Cities, but when a hail storm hits, you’re probably going to remember it for a long time to come. At Precise Exteriors, we’ve seen our fair share of hail damage. And we’ve made it a point to give you some dos and don’ts when it comes to fixing your house after the storm passes. It’s easy to find a contractor these days. Finding a good contractor who does quality work for a fair price is a whole other ballgame. Here are a couple of things to avoid when you need home repair in the Twin Cities area. Don’t hire someone who goes door to door after a big storm offering home-repair services. This is a huge red flag and almost always a sign that you’re not dealing with a professional. Don’t try to DIY it. Painting a bedroom or even hanging some drywall can be great projects for the ambitious homeowner. Climbing onto a damaged roof is something entirely different. If you suspect roof damage after a hail storm, call a pro to check things out and get a repair estimate. What should you do after a damaging storm? There are some great tools for finding a quality contractor these days. Looking at BBB ratings can give you some pretty good insights into a contractor’s reputation and professionalism. All reputable contractors should be able to give you a written estimate including cost and time to completion. Doug at Precise Exteriors has the experience and expertise to handle your repairs. 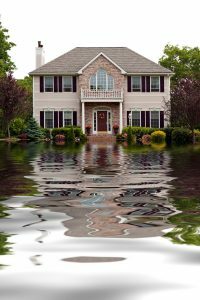 Give us a call and let’s work on getting your home back to pre-storm conditions.